The narrator of Teju Cole's Open City, one of the better novels of memory and urban space to come along in recent years, at one point flies into New York City and remembers going to see a "sprawling scale model" of the metropolis at the Queens Museum of Art. "The model had been built for the World’s Fair in 1964, at great cost, and afterward had been periodically updated to keep up with the changing topography and built environment of the city. It showed, in impressive detail, with almost a million tiny buildings, and with bridges, parks, rivers, and architectural landmarks, the true form of the city." The model really exists; you can go see it yourself. 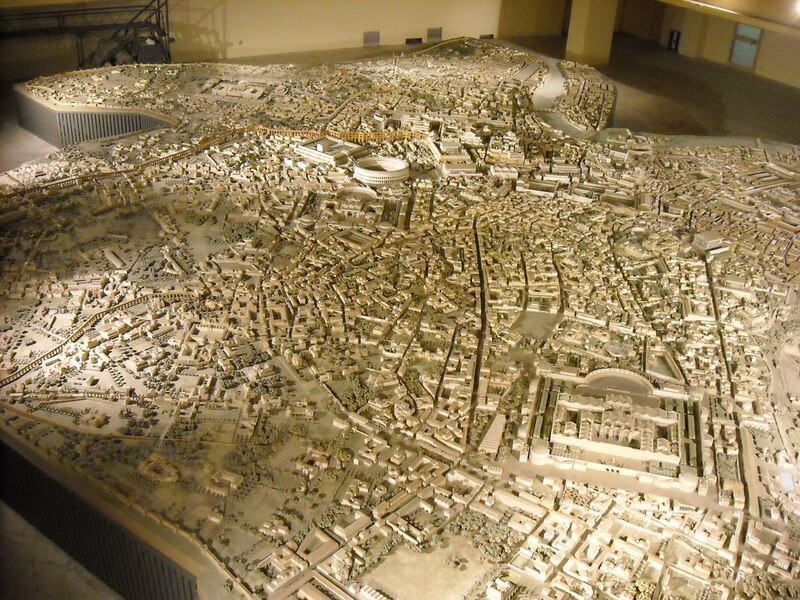 But if you get to Rome before you next get to New York, you can see another city model of equally impressive, almost implausible accomplishment there. At the Museum of Roman Culture resides a 1:250 recreation of imperial Rome, known as the Plastico di Roma Imperiale, which transports viewers not just through space but time as well. 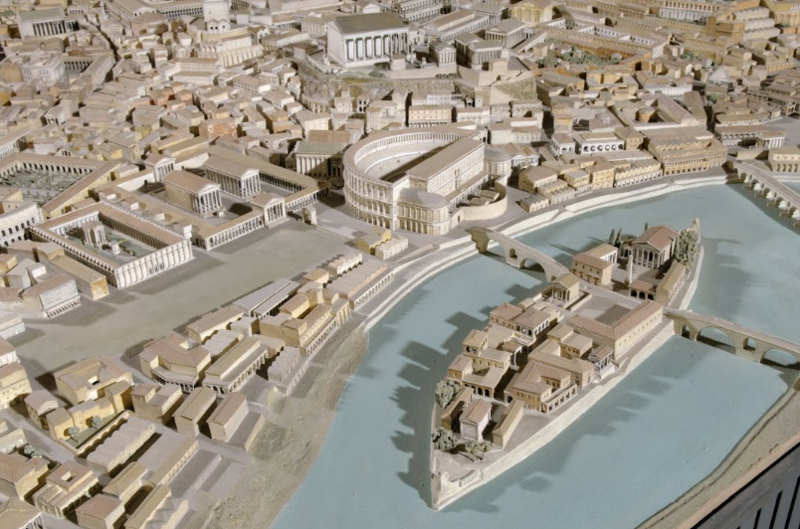 "To commemorate the birth of Augustus (63 BC) two thousand years earlier, Mussolini commissioned a model of Rome as it appeared at the time of Constantine (AD 306-337), when the city had reached its greatest size," says Encyclopedia Romana. Constructed by Italo Gismondi between 1933 and 1937, then extended and restored in the 1990s, it takes as its basis Rodolfo Lanciani's 1901 atlas the Forma Urbis Romae. 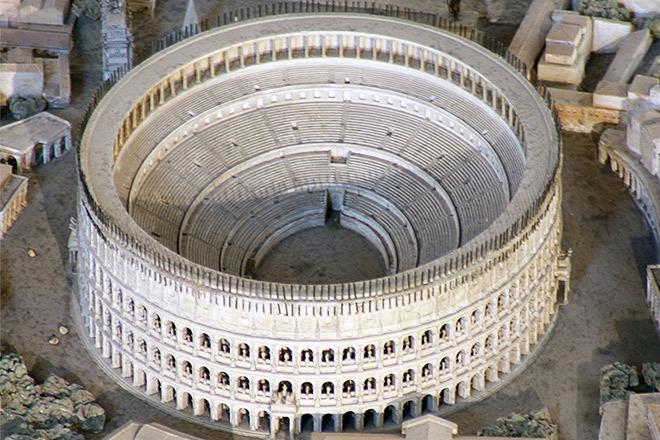 You can see more detailed pictures of the Plastico di Roma Imperiale at the Museum of Roman Culture's site as well as at Viral Spell, zooming in on such Roman landmarks as the Campus Martius, the Circus Maximus, the Tiber Island, and the Flavian Amphitheatre, better know as the Colosseum. "The attention to detail was so meticulous that one could not help but think of Borges’s cartographers," says Open City's narrator, "who, obsessed with accuracy, had made a map so large and so finely detailed that it matched the empire’s scale on a ratio of one to one, a map in which each thing coincided with its spot on the map." This memory comes prompted by the sight of the Big Apple, of course, but it somehow sounds even more fitting for the Eternal City at the height of its ambition. 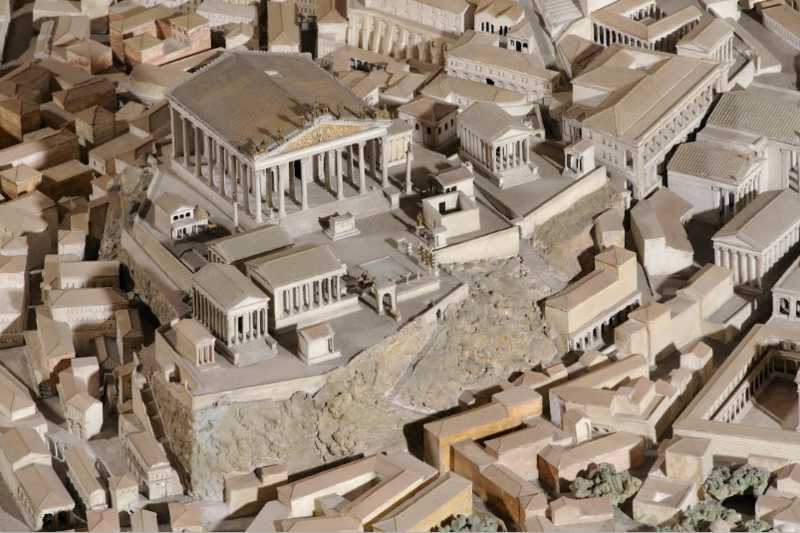 Rome Reborn: Take a Virtual Tour of Ancient Rome, Circa 320 C.E. Based in Seoul, Colin Marshall writes and broadcasts on cities and culture. His projects include the book The Stateless City: a Walk through 21st-Century Los Angeles and the video series The City in Cinema. Follow him on Twitter at @colinmarshall or on Facebook. Actually, this model is contained in a museum that has been closed for several years. So, no, you can’t see the model. I came across this website a d your comment, whilst researching an ancestor, Grimani, who in the 1700’s also built a full scale (wooden) model of Rome, which was showcased at the Saint-Germaine Museum in 1922, having formerly been exhibited at the Saint-Genevieve Library by the abbots of the Abbey concerned. It was last seen being stored in crates at the St. Germaine museum, in the 1920’s and from what I and other family members can ascertain, should Still be there. Apparently, enqueries have drawn a blank! This model SHOULD exist somewhere, having been lovingly fashioned with blood, sweat and tears!! Mr. Grimani being a true and loyal Italian. Pse can you throw any light on this matter for the family, as it was obviously a work of art, way before its time! Any help greatfully received. Sincerely Linda Davidson.